(Natural News) Microgravity is an interesting phenomenon that affects astronauts in space in many interesting ways. Although space travel has been known to have certain effects on the bodies of astronauts, such as making bones and muscles atrophy after a certain time frame, a new study shows that there are effects on the human brain as well. 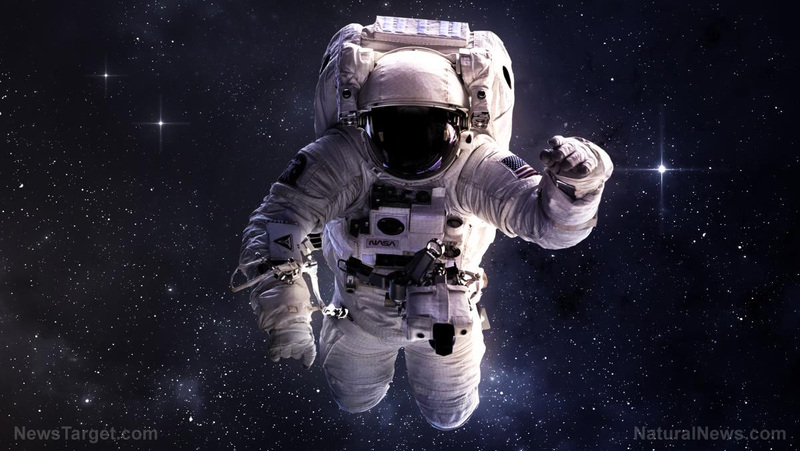 According to a report on the study, which was funded by the National Aeronautics and Space Administration and published in the New England Journal of Medicine, a team of researchers looked at before- and after-mission magnetic resonance imaging (MRI) scans of a total of 34 different astronauts — 18 of them spent months working on the International Space Station (ISS) while 16 of them went on much shorter trips of about 14 days on average aboard the space shuttle. What they found was that microgravity had some noticeable effects that differed among the astronauts, regardless of their similarities in age and flight experience. It is said that the floating brain tends to remain up in its new elevated position many days after the astronauts came back to Earth, although it wasn’t possible to do any follow-up scans as there were no second post-flight MRI scans, so whether or not the brain returned to its original position currently isn’t known. Meanwhile, none of the short-trip astronauts showed such changes. It is speculated that perhaps their brains did float upward as well, but due to their shorter flight periods, things might have gone back to normal before the MRI scans caught them. Another change is the fact that the part in the human brain called the central sulcus, which is what separates the cortex’s frontal lobe from the parietal lobe located behind it, became narrower. This was true in 17 of all 18 long-duration astronauts, but happened in only three of all 16 short-mission astronauts. According to Roberts, this occurrence “might lead to functional changes,” such as how astronauts suddenly find it difficult to adapt their movements to microgravity. It has been said that negative changes in the flow of CSF in the brain such as this is linked with Alzheimer’s disease, multiple sclerosis, and other disorders, but whether it’s the cause or effect is still unclear. For now, the researchers are going to try to get to the bottom of it, because as you can imagine, interplanetary flights — such as a trip to Mars — will take a long time. Having that kind of information would be beneficial.